All Denny Malone wants is to be a good cop. He is the "King of Manhattan North", a highly decorated NYPD detective sergeant and the real leader of "Da Force". Malone and his crew are the smartest, the toughest, the quickest, the bravest, and the baddest - an elite special unit given carte blanche to fight gangs, drugs, and guns. Every day and every night for the 18 years he's spent on the job, Malone has served on the front lines, witnessing the hurt, the dead, the victims, the perps. Every morning Boone Daniels is out with the Dawn Patrol: four men and one woman as single-minded about surfing as he is, or nearly. They have real jobs; Boone works as a P.I. just enough to keep himself in fish tacos and in the water. 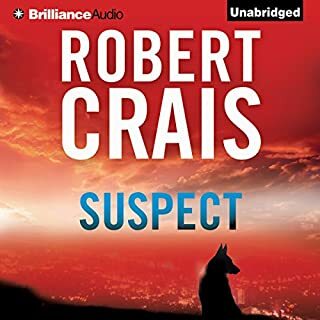 But Boone is also obsessed with the unsolved case of a young girl named Rain who was abducted while he was with the San Diego police. Victor is the killer who always delivers...for the right price. And Heloise Salvatierra, patron of Guatemala's largest cartel, is ready and willing to pay him just that to eliminate the competition: her sister. Heloise has been battling Maria for control of the cartel in an endless and bloody war. Now, Victor decides who survives. An easy job if it weren't for the sudden target on his back. John Dempsey, former Navy SEAL and Tier One operator, is back. 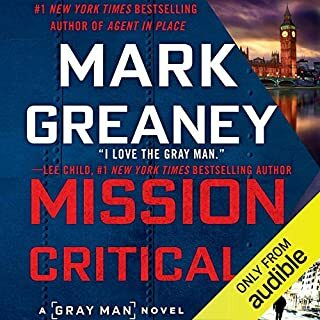 Only a few months into his new life as an operative for Ember, the United States' most covert counterterrorism entity, he must stop an old nemesis who's resurfaced after ten years of operating in the shadows. 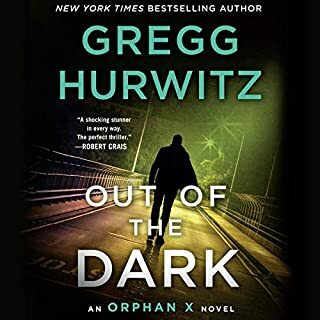 From the deserts of Iraq, through the jungles of Guatemala, to the streets of suburbia, Dempsey and his Ember team race against time to stop a series of horrific and devious attacks against the homeland. The world has watched stunned at the bloodshed in Mexico. Thirty thousand murdered since 2006; police chiefs shot within hours of taking office; mass graves comparable to those of civil wars; car bombs shattering storefronts; headless corpses heaped in town squares. The United States throws Black Hawk helicopters and drug agents at the problem. But in secret, Washington is confused and divided about what to do. "Who are these mysterious figures tearing Mexico apart?" they wonder. From the internationally best-selling author of the acclaimed novel The Power of the Dog comes The Cartel, a gripping, ripped-from-the-headlines story of power, corruption, revenge, and justice spanning the past decade of the Mexican-American drug wars. It's 2004. 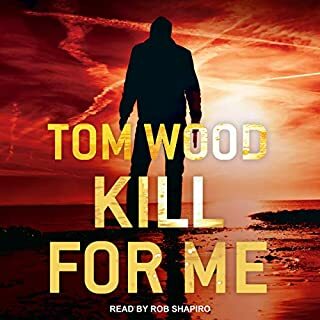 DEA agent Art Keller has been fighting the war on drugs for 30 years in a blood feud against Adán Barrera, the head of El Federación, the world's most powerful cartel, and the man who brutally murdered Keller's partner. Finally putting Barrera away cost Keller dearly - the woman he loves, the beliefs he cherishes, the life he wants to lead. Then Barrera gets out, determined to rebuild the empire that Keller shattered. Unwilling to live in a world with Barrera in it, Keller goes on a 10-year odyssey to take him down. His obsession with justice - or is it revenge? - becomes a ruthless struggle that stretches from the cities, mountains, and deserts of Mexico to Washington's corridors of power to the streets of Berlin and Barcelona. Keller fights his personal battle against the devastated backdrop of Mexico's drug war, a conflict of unprecedented scale and viciousness, as cartels vie for power and he comes to the final reckoning with Barrera - and himself - that he always knew must happen. The Cartel is a true-to-life story of honor and sacrifice as one man tries to face down the devil without losing his soul. It is the story of the war on drugs and the men - and women - who wage it. 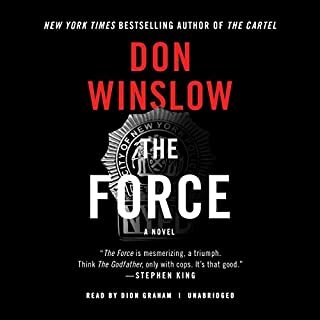 ©2015 Don Winslow (P)2015 Blackstone Audio, Inc.
A very good Part 2 to the trilogy of the Mexican tragedy that is the drug cartels. If one is aware through the media of what happened and is happening in Mexico regarding the violence surrounding the drug trade, this book nails it in realism. The violence is unrelenting and graphic. 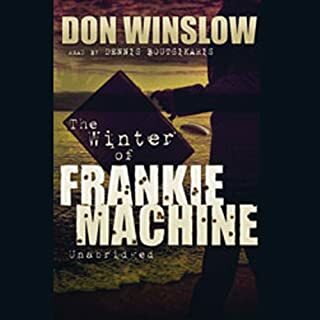 As with other books, Don Winslow has clearly done his research. The narration by Ray Porter is superb. Enough said. A great and gruesome book of the the Cartel. Story was excellent. The author must have done quite some research when writing this book. The narrator did an excellent job and pronounced the Spanish words very well. Would certainly recommend. This is a great novel about the drug trade and drug enforcement over the 1980's to the new Millennium. Great characters because you care about their lives. This novel shows the how grey the War on Drugs was and still is. Good guys need to be bad. Bad guys can be good. The American appetite for drugs keeps the money and drugs flowing. Ray Porter is terrific is always. 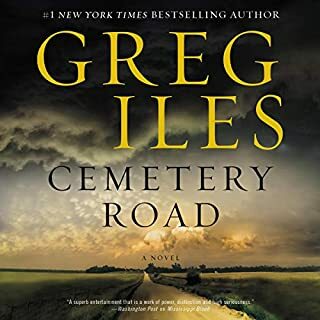 Perfect voice for this Audio Book. The book takes a lot out of you by the time you finish, but it was well worth the time. 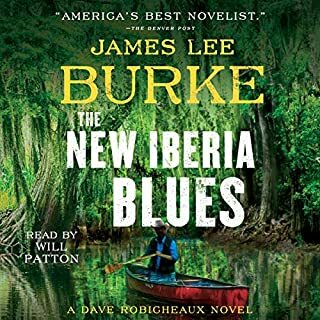 #Audible1 I’ve listened to this audiobook all the way through three times now. Brutal but really well written with just enough pulp to keep you hooked. My favourite of the Don Winslow books. Fantastic and narrator is excellent! A worthy sequel to Power of the Dog and narrator Ray Porter makes it come alive. I'm going to read everything Don Winslow has written. Great tragic characters woven together in intricate overlapping plotlines and every character always on the precipice of danger. Never realized how important a good narrator is till I listened to this book. Ray Porter was pitch perfect in conveying multiple characterizations and always kept me on the edge of my seat. If you are looking for a factual story about Mexican drug cartels, this is not it. I've been with audible for 13 years now and I've listened to hundreds of books. I can say without reservation that "The Cartel" is in the top three. It is the sequel to "The Power of the Dog," (which I also loved) and it's one of those sequels that surpasses the original. I don't mean in any way to say that this is a happy or uplifting book. It's the opposite: gritty, brutal, depressing. But SO good. I found myself overjoyed when there were clothes to fold or dishes to be done, and I probably walked farther during this book that I would have otherwise. I was taking any opportunity to put my earbuds in and get back to the story. I cannot recommend this highly enough. This Just In.....Life imitating Art: Today the world's most powerful drug lord, Joaquin "El Chapo" Guzman, escaped from a maximum security prison in Mexico. This is his second escape from a maximum security prison after vowing he could not be contained, and after the Mexican government (that refused to extradite him to the United States) vowed he would not escape again. Evidently -- he couldn't, and he did. For readers of Winslow's Power of the Dog (2005), and especially The Cartel, this is an eerie coincidence. NPR's Alan Cheuse referred to The Cartel as a "True Crime Adventure," and how much truer can it get? 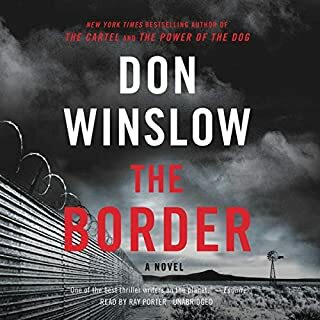 Winslow's fictional parallel runs staggeringly close to the truth with his creation of the Sinaloa drug cartel kingpin, Adán Barrera, shadowing El Chapo -- even breaking out of his maximum security confinement...(excuse the spoiler). It's enough to make you wonder if Winslow has watched these events repeat themselves so often that he can predict what can happen next. Winslow's vast and illuminating look at the DEA's war on drugs spans 40 years in these two combined novels: Power of the Dog, 1975 to 2005, and The Cartel 2005 to 2015. 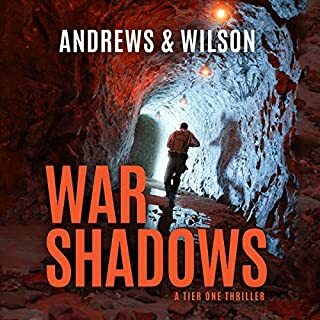 Though not a journalist, Winslow did extensive research, over 15 years, to write what has been praised by journalists as a magnum opus on the Mexican drug cartels. 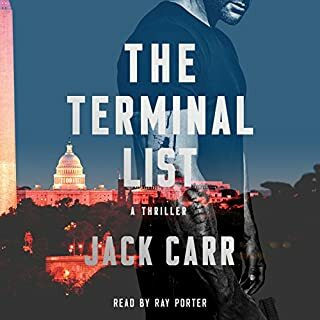 The Cartel's narrative picks up from the Power of the Dog with DEA agent Keller continuing his almost obsessive quest to destroy Adán Barrera and revenge his partner's gruesome death. Of course, with the cartel's inventive brutality involved--what other kind is there? Cartel goes deeper into the "centrifugal dynamics" of the cartel families, and the fight between the *families* to maintain control of the drugs and therefore the fortunes. The massive amounts of money are mind-blowing (El Chapo was listed by Forbes as one of the most wealthy and most powerful); the levels of corruption, knee-buckling. The pages are soaked with the blood of unimaginable torture, beatings, gang rapes, beheadings -- it's graphically, numbingly violent. (Remember the movie line: "Kill him again!?) But not sensationalized, because Winslow uses the violence to drive across a point, like an eye-opening whiff of ammonia under the nose. USERS: This is where your high comes from; this is what your $$ funds. Winslow looks at the events and steps into them. He submerges himself and the reader across the border and into the towns; he explains the social and economic structure; he tells the people's story, their genealogy; he gives the town's history; and he narrates the struggles and fights with the cartel. Even the cartel head must deal with the destruction he has caused, one moment wistfully recalling the beauty of a different Mexico, and then sending his wife to America to give birth and get citizenship (another fiction that is true). --"Steeped in reportage, the novel. . . possesses a virtue I associate with traditional documentaries: it explains things. I finished the book understanding why Juárez is so violent; why cartels murder so many innocent people; why both the American and Mexican governments favor some cartels over others; and why the war on drugs is not just futile, but morally compromised. It’s here that fiction and documentary come together in a shared sense of, well, bleakness.” John Powers, Fresh Air --- From the professionals, you simply can't find more facts in any one place. "...at the end of the day or the end of the world, there are no seperate souls. We will go to heaven or we will go to hell, but we will go together." I went into this thinking I was going to get Tom Clancy+, but actually ended up with a novel closer to Norman Mailer. 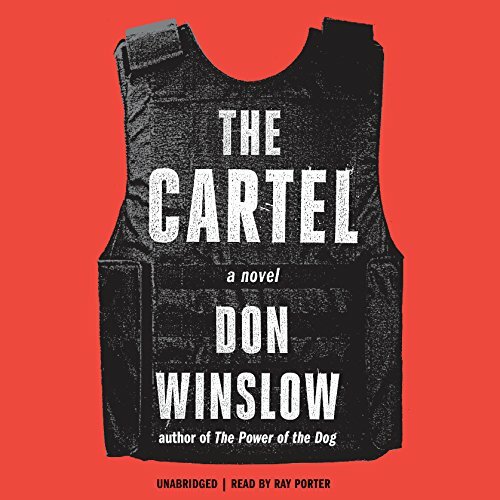 'The Cartel', and Don Winslow's previous book on the Mexican drug trade ('The Power of the Dog') are best described as a two-part, fictionalized history of the War on Drugs in Mexico. I was first drawn to read this by my little brother who was pimping it hard. He mentioned that he heard 'Ben Afflick' couldn't even get in the bid for the rights to this movie. It optioned for $1M with something like a $5M kicker when the movie got made. I think a similar deal got made for 'The Power of the Dog'. Perhaps, Leonardo Di Capro will star. Perhaps the director from Cormac McCarthy's drug cartel movie (yes, the one where Cameron Diaz makes love to a car) may even direct it. Kinda surreal. Also, it wasn't like I went into this novel not knowing about the drug cartels in Mexico. I live just outside of Phoenix. We used to travel once or twice a year across the border to Rocky Point, but as the Zetas and the violence escalated along the border towns a few years back, our trips decreased. There just seemed to be too much cost for the benefit of sand, 800mg Ibuprofen, and smooth daiquiri . Even still, reading this was like discovering your favorite wound isn't just infected, but hosting a bunch of ugly parasites AND you are largely to blame. Anyway, it is a total history. Winslow delivers the scope and the horror of the Drug War. He shows the impact on the people, the journalists, the poor. He shows the complicity of the US, the corruption of the Mexican police, the Mexican army, the Mexican politicos. It could easily have devolved into a Zeta snuff film, but Winslow turns it into a powerful piece of historical fiction. It is selling like it is just a thriller, but don't let the flash fool you. There is meat here. There is a body in this burning book. Again, the closest I can get to how reading this feels is Mailer's Harlot's Ghost, Littell's The Company, or Ellroy's The Black Dahlia. This isn't Dostoevsky, but it for sure for sh!t ain't Clancy. This is the second (and final) part of a two volume lifelong saga pitting heavyweight DEA agent Art Keller against his arch enemy Adán Barrera, the drug kingpin mastermind of Mexico's most sinister drug cartel. 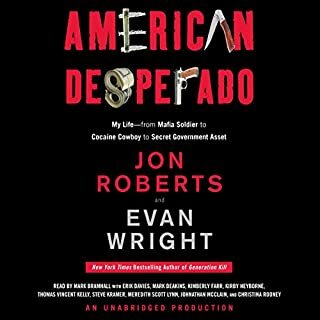 Research drives every Don Winslow novel and this time it's a nuanced analysis of the dark cultural, political, and narco history of Mexico. This epic rivals Mario Puzo's, "Godfather" in its ambition and execution. Ray Porter is spectacular in his ability to create characters (male and female), mood, and sense of place. He has the enormous talent to present a narrative arc in minute detail, yet keep himself out of it. Porter's able to reveal each individual and setting without revealing himself! "The cartel" is a masterpiece. Pity we are only allowed to award 15 stars. I was about to purchase this and saw it was a sequel to The Power of the Dog, so I decided to listen to that first - I'm glad I did! 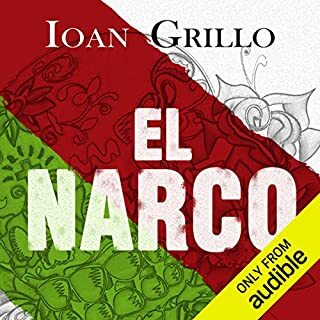 While this story doesn't require reading the previous book, I think it greatly enhances the listening experience of The Cartel. I don't think I would have understood the complex relationship between Art Keller & Adan Barrera. This story is gut-wrenching, I think even more so than The Dog, There are several surprises regarding who lives & dies and some were hard to swallow. Winslow creates excellent characters - there are rarely any "all good / heroes" or "all bad / villains" - even most of the villains have likeable traits, or at least aspects of their personalities that help you understand why they make the decisions they do. Both books are shockingly realistic, yes, it's fiction but you know these events, these back room negotiations, and corruption at every level is all really happening. These books have taught me a lot about what is REALLY happening with the "war on drugs." I listened to both books back to back and it will be hard to find another story as mesmerizing. 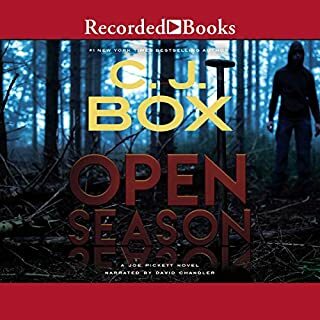 The narrator Ray Porter is fantastic - I knew immediately whose perspective / whose head I was in by how he was able to capture each main character's voice. I'm glad I listened to these books instead of read, even though there are a lot of characters to keep track of. I debated about listening to this book for many months. I do not like gratuitous violence nor do I like "action for the sake of action". 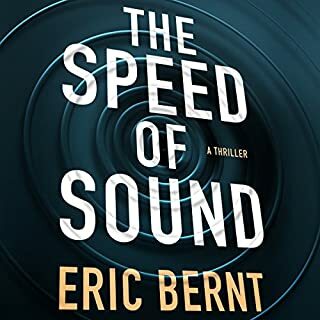 This novel is full of violence and action but all of it is contextual to the story and necessary to the true portrayal of the world of the drug trade especially as pertains to the Mexican cartels and the far reaching impact of their influence. I experienced this novel as a multi-faceted experience in exceptional story telling with complex characters and also as an education; an education about the corruption, the violence, the power and far reaching impact of this "war on drugs" which is and has been going on and escalating for four decades or more. There were times when I had to walk away from the listening because the violence is disturbing and I needed to digest the implications of this criminal trade on many levels. 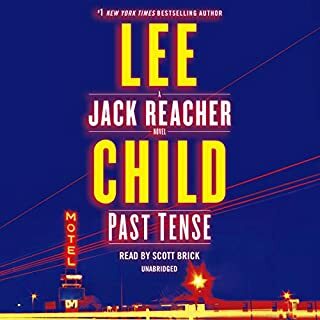 Yes, it is a long novel but at no point did I consider ending the listen prematurely. I learned so much and was gripped by the author's ability to present multi-faceted complex characters and relationships. Bottom line, if you are ready to learn about a topic that we live with every day and is smoldering under our lifestyle, do read this. It is very violent and disturbing but thus is the nature of war. So far the best of 2015!! I normally don’t write reviews but this book hit home on many fronts. I was born in Mexico but raised in the U.S. I love Mexico and visit from time to time but the deterioration of the country saddens me. The corruption and drug problem is slowly destroying the country. The amount of detail in the story - from the language, culture, food, the way the police work, corruption, slang, the gangs, Los Zetas, etc, is astounding. The author absolutely did his research. I have the feeling the author lived in Mexico for a while. The story is brutal and violent. I cringed many times listening to the detailed scenes involving torture and murder. It was hard to listen many times. The character development was great as well. I cared for every character. The great story aside - the narrator was great! Ray Porter is the best and does an amazing job. Every character's voice and nuances are different. I don't know how he does it but he really brings this story to life. Superb!! Listen to this book, you will not regret it! Power of the Dog was as brilliant a novel asTraffic was a movie. So when The Cartel came out the other day I made sure to put everything else on hold and started listening. The Cartel is at least as good as its predecessor, which was truly remarkable. And its read by Ray Porter, perhaps the best narrator in the industry. The story bigins with Keller, the DEA agent and hero of The Power of the Dog, learning his most hated enemy has just put a 2 million dollar hit out on his life. Adon Bererra, once head of all of the Mexican Cartels until Keller brought him down, is extradited to Mexico after agreeing to testify against his old partners. Its a brilliant move that uses the naieve American authorities' obsessive need for headlines. The rabbit has been thrown into the briar patch. Suddenly Keller is back chasing the very man he all but destroyed before. What transpires is a brilliant game of strategy with Adon always outmaneuvering both rivals and authorities. Its a brutal and bloody game of cat and mouse. But Keller does not suffer fools, even when he is their subordinate. He watches and waits, every bit the strategist his adversary is. Buckle your seatbelt for this one! Although I really enjoyed the performance and think Winslow tells a great story, its rhythm and pace and ambience were virtually the same as they were in The Power of the Dog. Still, since I generally listen to books in my car, Winslow helps to pass the time. 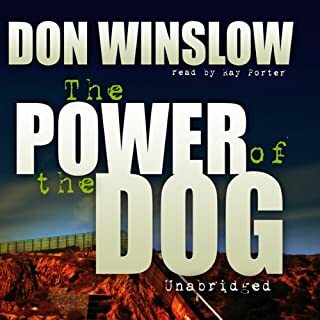 Well, The Power of the Dog was my first Winslow and I thorougly enjoyed it but with The Cartel I felt as if I were listening to it again. I am not well-versed in crime novels; perhaps all which feature the same character, in this case Art Keller, are repetitive. Which character – as performed by Ray Porter – was your favorite? I think he did a bang-up job with each and every. 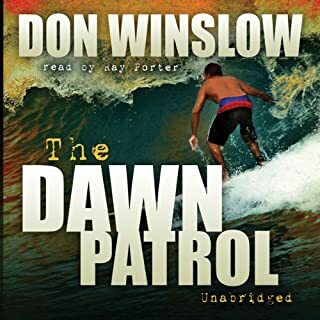 This was my first Don Winslow book and I really enjoyed it. Good balance of action and story while being detailed but never boring. Definitely a good purchase!